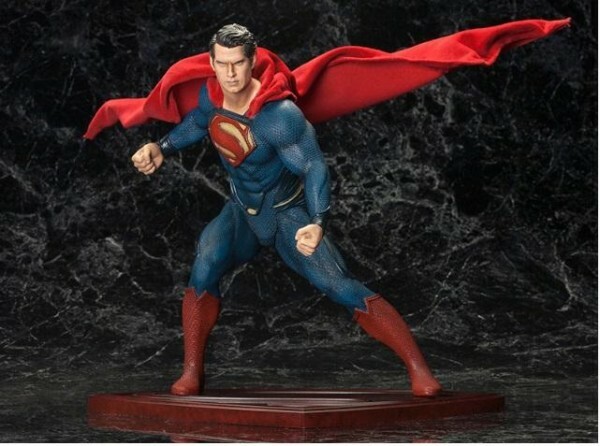 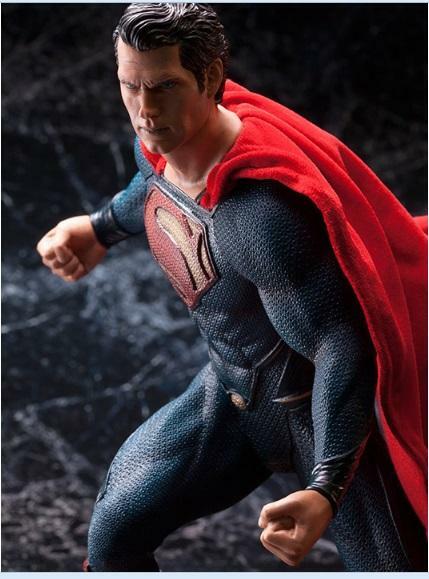 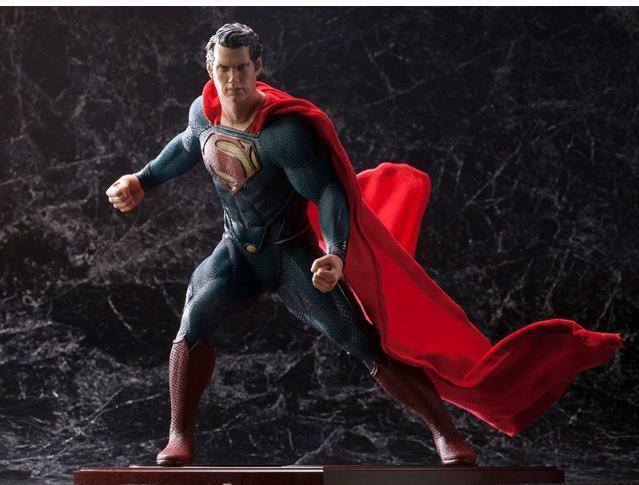 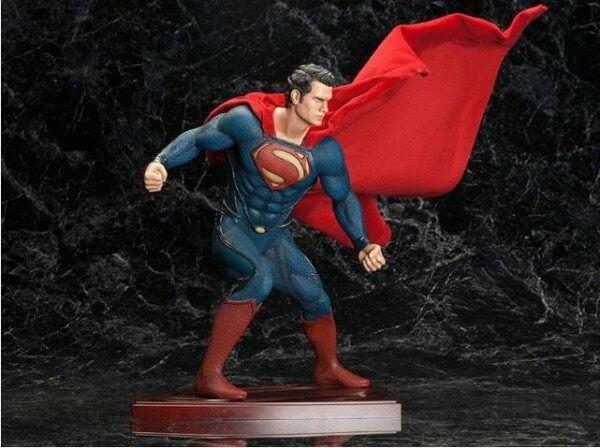 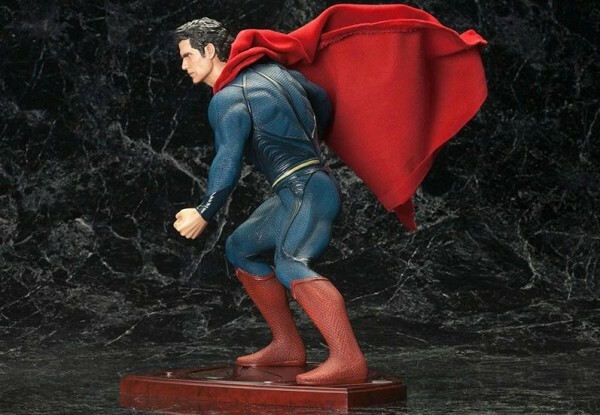 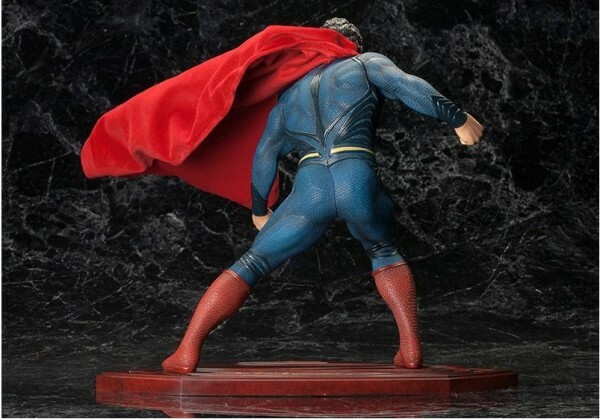 Some new photos have been recently released to promote Man of Steel, including photos from Kotobukiya’s Man of Steel where you can check out his back side (I know I’m not the only one). 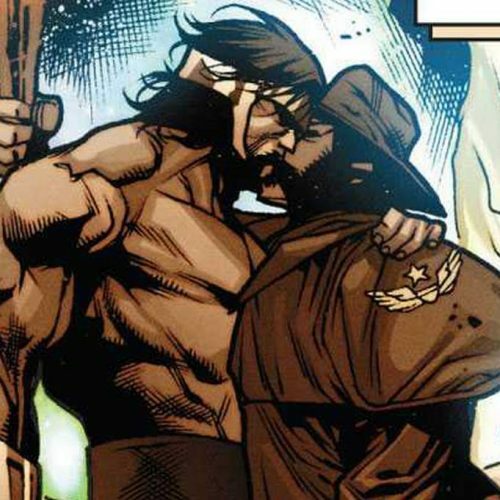 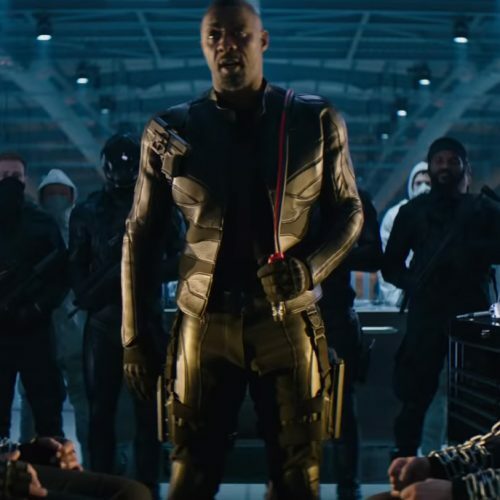 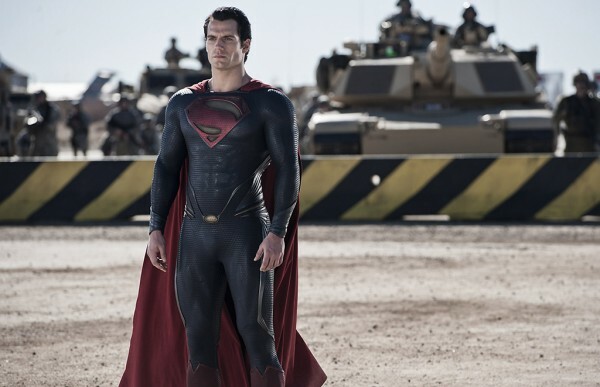 First up is this photo from Yahoo featuring Superman in front of the military in all his glory. 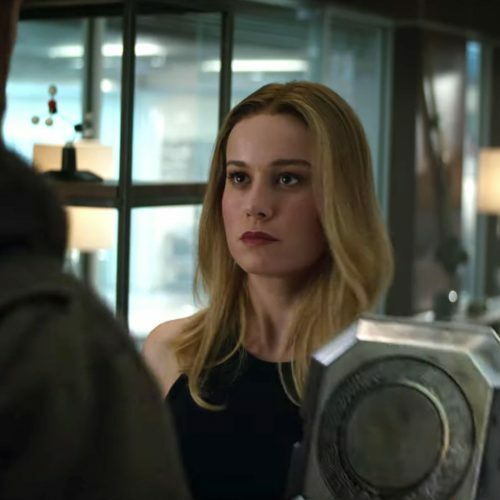 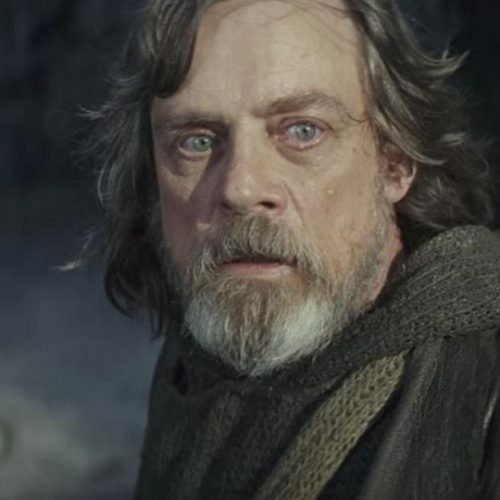 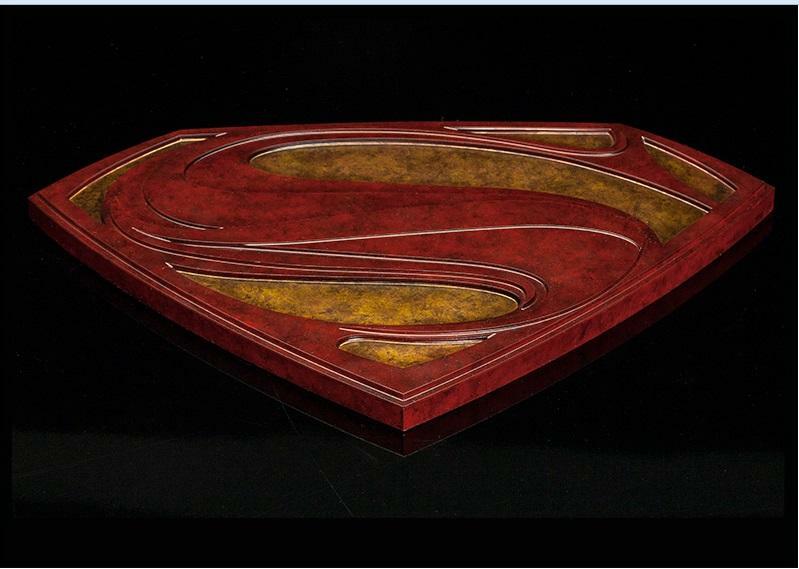 I’m a straight man, and even I can admire this marvelous work of art. 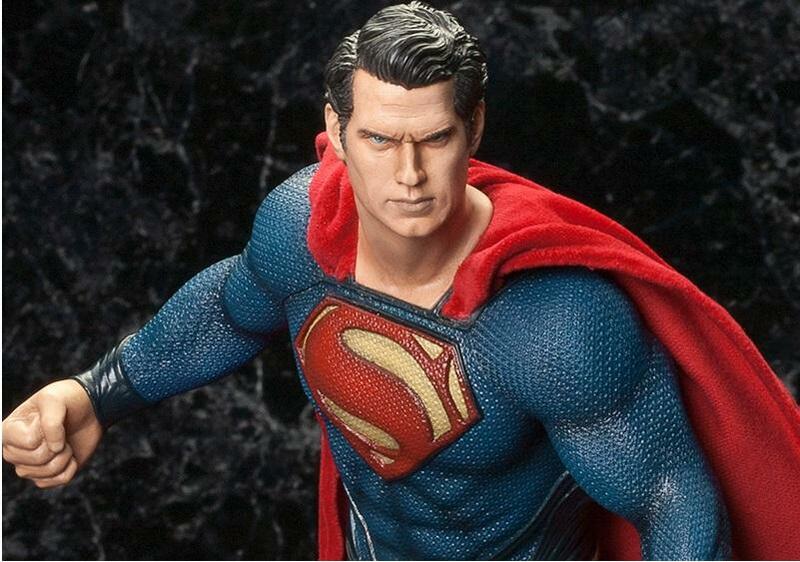 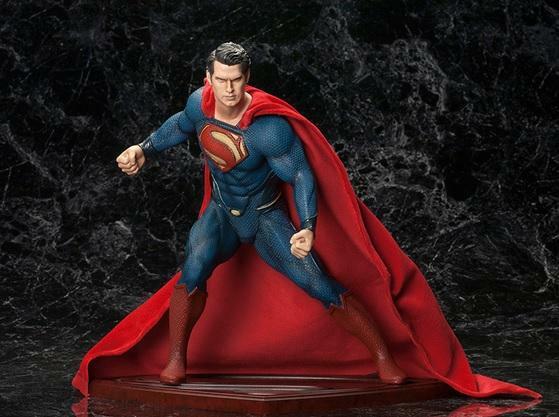 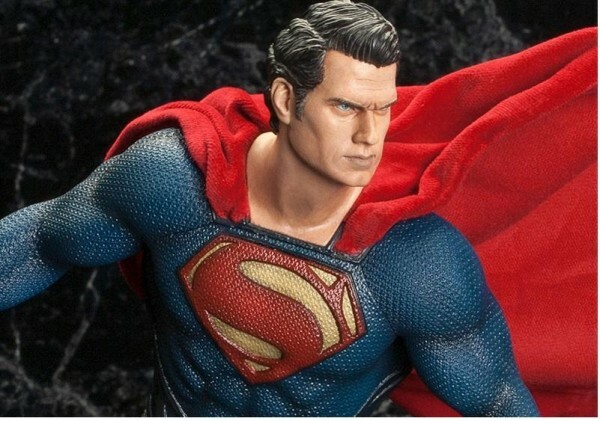 Thanks to Kotobukiya, we get a chance to check out Superman from all angles. 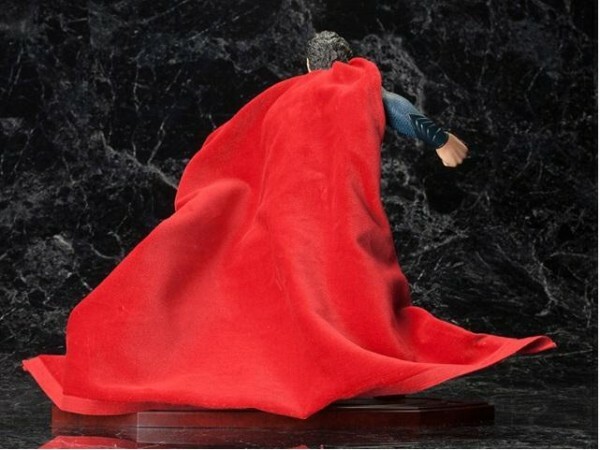 The coolest thing about the figure for me is the poseable cape that allows you to mold it into any form. It’s being sculpted by RESTORE (Shinya Yamaoka) and stands over 10 1/2″ tall (1/16th scale). Man of Steel flies into theaters on June 14, 2013.